The new procurement policy, which came into effect in November 2017, allows Copenhagen Municipality to demand products that bear an eco-label. Once the policy is implemented, the municipality will only buy products and services certified with the Nordic Swan Eco-label or EU Eco-label, within 26 selected categories. The selected products and services are wide-ranging and amount to an annual value of approximately 40 million EUR. Once the new policy, which is developed in close collaboration with Ecolabelling Denmark, comes into effect, the municipality will be able to purchase products and services with a cleaner conscience. 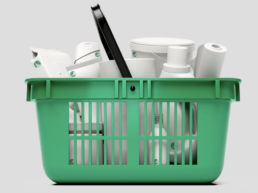 In order to qualify for an eco-label, products must comply with an ambitious set of criteria which take into account the whole product life cycle. Through the policy, Copenhagen demonstrates how public actors can motivate companies to produce sustainable products and services, thereby boosting the market. As a part of the new policy, the municipality and Ecolabelling Denmark will select two to four product areas in which the municipality will directly engage with producers to develop more environmentally friendly products. In 2018, the municipality will work with manufacturers to explore how toys and office furniture can be produced more sustainably. 54% of Danish people believe it is important that their municipalities demand eco-labeled products. By purchasing eco-friendly products and services, the municipality helps reduce the use of noxious chemicals harmful to both the environment and health of workers and end-users. Municipalities are pivotal actors in promoting responsible consumption and production. By demanding eco-labeling, the municipality is raising public procurement standards. By entering into dialogue with producers, Copenhagen Municipality stimulates public-private partnerships and encourages the growth of environmentally friendly products and services.